You know you can afford your monthly mortgage payment. You even have enough money saved for a down payment. But there's one cost of taking on a mortgage loan that could further drain your savings: the closing costs that come with it. These are the fees that you'll pay to your lender and third-party sources -- such as a real estate attorney or title insurance company -- to compensate them for the work they do on originating and closing your mortgage loan. These fees can be expensive. Buyers can expect to pay from 2 percent to 5 percent of their loan amount in closing costs when taking out a purchase mortgage. For a loan of $150,000, then, you can expect to pay anywhere from $3,000 to $7,500 in closing costs. Mortgage and financial professionals say that it's important for borrowers to speak with their loan officers about their closing costs early in the process. The federal government requires lenders to provide borrowers with documents listing their estimated and then final closing costs. But the earlier consumers prepare for closing costs, the better. Matt Decesaro, director of builder services with Johns Creek, Georgia-based HomeBridge Financial Services, said that buyers never like what they see on these forms. "Everybody is shocked by the fees they have to pay," Decesaro said. "I don't care if they are first-time buyers or if they've taken out a loan before, everyone is surprised at how expensive it is to take out a loan. I wish it was different. I wish it wasn't so expensive, but it is." 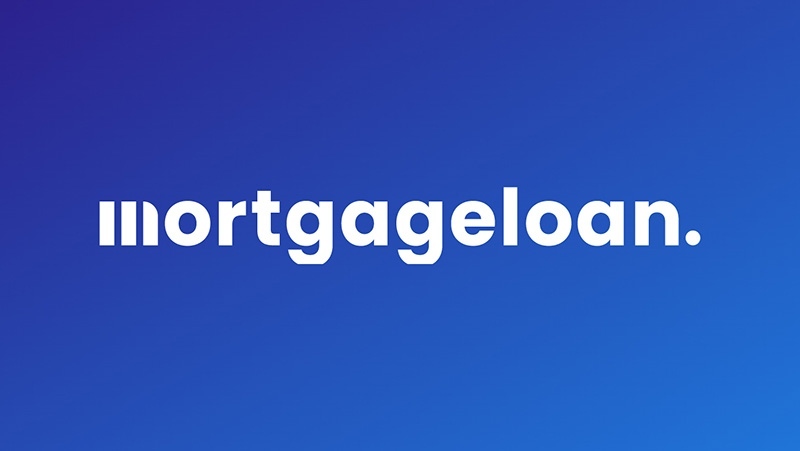 Staci Titsworth, vice president and regional sales manager with the Pittsburgh office of PNC Mortgage, said that the new forms make it easier for borrowers to shop around for the most affordable mortgage. You can also negotiate with your lender. Your originator might be willing to lower some of the fees it charges if you ask. Trying to negotiate never hurts; remember, this is a big, expensive purchase. Anything you can do to lower the costs of it is important. You can even ask lenders to find third-party providers, such as title insurers, that charge less. Be especially aware of what are often called junk fees, charges that lenders add to their closing costs just to inflate their profits. Lenders do have to charge for the work they perform. But they don't have to nickel-and-dime with added and unnecessary fees. Realtor.com has listed some of the more common fees that lenders shouldn't charge and others that, though legitimate fees, lenders often inflate to earn a greater profit. As you study your Loan Estimate and Closing Disclosure, pay attention to such charges as e-mail fees, courier fees, commitment fees and processing fees. Some might be legitimate, but make sure to ask your lender what each fee covers. If you don't like the answers you get, you can always walk away from the loan. This is probably the biggest fee you’ll pay to close your mortgage. It’s what your lender charges to prepare your mortgage loan and to review your application to make sure that you can afford it. Fees will vary, but you can expect to pay 1 percent of your loan balance. For a mortgage of $200,000, expect to pay about $2,000 for your loan origination fee. Your lender wants to make sure that you are not overpaying for your property. That’s where the home appraisal comes in. An appraiser will visit the home you want to buy, study other similar home sales in the area and then determine what the residence is worth. If the home is worth at least what you’re paying for it, all is well. If not, your lender might not approve your loan. You can expect to pay about $400 for an appraisal. Lenders want to give mortgage dollars to consumers who can afford to repay their loans on time. That’s why they order credit reports on borrowers. Your credit reports provide lenders with a history of how you’ve handled your credit in the past. It will also show lenders if you have a history of making payments on time or if you have the bad habit of paying late or missing payments altogether. Lenders will usually charge you about $45 to $55 for ordering your credit report. Your lender might offer you a lower mortgage rate in exchange for what are known as discount points. Basically, you pay a bit extra on your loan for a point, or points, and, in turn, end up with a lower interest rate. The cost of a point is equal to 1 percent of your loan amount. If you are taking out a loan of $175,000, a point would equal $1,750. Each point you pay for typically reduces your mortgage rate by one-eighth to one-quareter of a percentage point, such as to 3.75 percent instead of 4 percent. If you pay for two points, which will cost you $3,500 in this case, you'll get an even lower interest rate. You'll have to crunch the numbers to determine whether paying for discount points makes sense: Doing so will increase your closing costs, but it will also decrease your monthly payments. Lenders need to know that there are no outstanding legal claims or liens against the home you want to buy. To determine this, they'll hire a title company to perform a title search, which will turn up any liens. Title insurers usually charge about $200 to perform this service, a fee that your lender will pass on to you. Owner's title insurance will provide you financial protection against title problems that are not visible in public records or that the title insurer might have missed during the title search. It will also protect you financially if a taxing body or individual makes a claim against your home after your mortgage loan closes. Title insurance can be costly, averaging about 1 percent of the loan amount. This insurance is optional. But Titsworth says that most borrowers to pay for it when applying for a loan. Your lender will require, too, that you pay for lender's title insurance. This insurance policy works much like owner's title insurance only it provides financial protection to your lender, not to you. This title insurance policy is typically slightly more expensive that owner’s title insurance. But if you buy both owner's and lender's title insurance at the same time at your closing, you'll typically receive a discount so that you are only paying about $150 or so for one of the two title policies. Most lenders require that you set up an escrow account when you take out a mortgage loan. With each monthly payment, you’ll pay a bit extra for property taxes and homeowners insurance. When these two bills come due, your lender will use the money from these extra payments, which it will have deposited into a separate escrow account, to pay them on your behalf. At closing, lenders usually require that you provide at least two months of property tax payments upfront. If the yearly property taxes on your home are $6,000, you’d need $1,000 to cover those first two months of payments. Lenders require that you take out a homeowners insurance policy before they will approve your mortgage. As with property taxes, lenders will often require that you provide the first two months of your homeowners insurance premium at closing. You can expect to pay about $1,000 a year for your homeowners insurance policy, and to pay about $167 or so at closing. If you don’t come up with a down payment of at least 20 percent, you’ll have to pay for private mortgage insurance, or PMI. This insurance protects your lender in case you stop making your monthly mortgage payments. The cost of this insurance varies, but Freddie Mac estimates that you’ll pay from $30 to $70 a month for every $100,000 that you borrow. For a $200,000 loan that comes out to $60 to $140 a month or $720 to $1,680 a month. Some lenders require that you pay the first year of your private mortgage insurance premium at closing. States and counties often charge homebuyers fees for transferring real property. These fees are outside the control of lenders and are instead set by municipalities. These fees vary greatly depending on the state in which you are buying, but they do add a significant amount to your closing costs. In Arkansas, you'll have to pay $3.30 for every $1,000 you are borrowing, while in the city of Chicago you'll have to pay $3.75 for every $500 you are borrowing. In Alaska, you won't have to pay any of these fees. If you are taking out a loan insured by the federal government, you’ll have to pay fees charged by specific governmental agencies. On an FHA loan, insured by the Federal Housing Administration, you’ll have to pay an upfront mortgage insurance premium that comes out to about 1.75 percent of your loan amount. If you are taking out a VA loan insured by the U.S. Department of Veterans Affairs, you'll have to pay guarantee fees ranging from 1.25 percent to 3.3 percent of your loan amount. For USDA Rural Development Loans insured by the U.S. Department of Agriculture, you'll pay guarantee fees of about 1.75 percent of your loan amount. Some states require that an attorney attends the closing. If you live in one of these states, you’ll be responsible for paying these fees, which can vary dramatically depending on the attorney. You can always request that an attorney be at the closing table even if your state doesn’t require one. Again, you’ll have to pay the attorney fees at closing. That’s a lot of fees, and it’s not even all of them. You might find a mortgage lender that advertises no-closing-cost loans. That sounds good, but it’s a bit misleading. Yes, your lender won’t charge you upfront closing costs. But to make up for this, it will charge you a higher interest rate. Essentially, you’ll be paying a bit more each month for the privilege of not having to pay closing costs. If you don’t think you can afford your lender’s closing costs, you can always try to negotiate with the sellers of your home. Often, these sellers will agree to pay all or part of the closing costs as a way to close the sale.